This week the entertainment world lost two significant personalities. I'd be lying if I called either of them 'great' or 'legendary.' But they meant a lot to me. Don Knotts died on February 27 at the age of 81. He will always be remembered as the perpetually anxious Deputy Barney Fife on The Andy Griffith Show, a role that won him five Emmy® Awards. However, I was a much bigger fan of the films Knotts made in the mid-60's. The Incredible Mr. Limpet (1964) featured Knotts as a Henry Limpet, a milquetoast human who turns into a fish and helps the US Navy during the Second World War. While not a brilliant film, it did cleverly combine animation and live action. My favourite Don Knott's film remains The Ghost and Mr. Chicken (1966). He plays Luthor Beggs, a jittery typesetter at the local paper who dreams of being an ace reporter. He's offered the chance to write a story about a haunted house and ends up solving a 20-year old murder case. 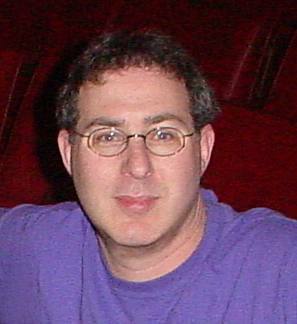 The film was competently directed by Alan Rafkin and features an above-average score by Vic Mizzy, best known for creating the theme music for TV's The Addams Family. I just loved The Ghost and Mr. Chicken. It was funny and silly, with a few scenes that truly scared the bejeezus out of me. And I’ve had that organ solo – if you’ve seen the film you know what I’m talking about - stuck in my head for 30 years. Knotts had a way of epitomizing a kind of goofy excitability that kids like me could relate to. It's also refreshing to remember a time when family films didn't need fart jokes to be entertaining. Darren McGavin died last Saturday a few months short of his 84th birthday. I first discovered McGavin in a short-lived, but hugely influential mystery series called Kolchak: The Night Stalker. McGavin played Carl Kolchak, an irascible reporter with a penchant for stumbling onto monsters, ghosts and vampires. In a career that lasted 50 years, McGavin played a lot of characters, but Carl Kolchak was my favourite. Despite the improbability of events that plagued him, and the unwillingness of the police and his associates to ever give him a break, Kolchak never gave up. He was hard to love at times, but impossible not to root for. I’d like to think there’s a little bit of the spirit of Luthor Beggs and Carl Kolchak in me. Posted by Morey Altman at 3/02/2006 11:13:00 p.m.
Don Knotts was one of those TV/movie people that you just grew used to having there. I was also sad when he died. Andy Griffith? Yer a sick-o!